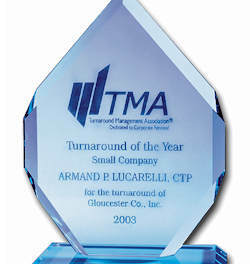 Having spent decades working with middle market companies in transition from early growth to late stage decline has provided me with a wealth of untold stories and expertise on improving results, crisis cash flow, fraud, business strategy, as well as my hobbies which encompass a passion for wine and golf. For some time I have published a Wine Newsletter. My wine Newsletter started out as an email at Bank of America, the old Fleet Bank, that circulated around the institution and became a mild hit. As life has evolved my reputation as an excellent cook, chef by some, continues to grow. Joan and I love to experiment with food creating truly enjoyable meals without using processed foods. This blog will share our life experiences in hopes of adding value to others. Thank you for dropping by my blog. Wine for Life which will be expanded to include recipes for which I am noted. Business Advisory – The site will contain current events of interest, how to videos on subjects previously delivered in classroom settings. Forensic Updates – No one likes to be defrauded. It happens to us all including me creating a passion to educate people on the subject. Tax Advisory – Based upon Washington’s current full throttle spending and yet another revamping of the tax code on the horizon will create challenges for many middle market companies and wealthy individuals. Give this blog a little time to be populated as the current subject evolves. Sports – Growing up and living in the Boston area has instilled in me a love for the Boston Sport teams but my passion mostly centers around the Boston Celtics and golf. You will find this section more fun than educational but one never knows.